No two exactly the same. I can try but they are never exactly alike. A favorite around the office. 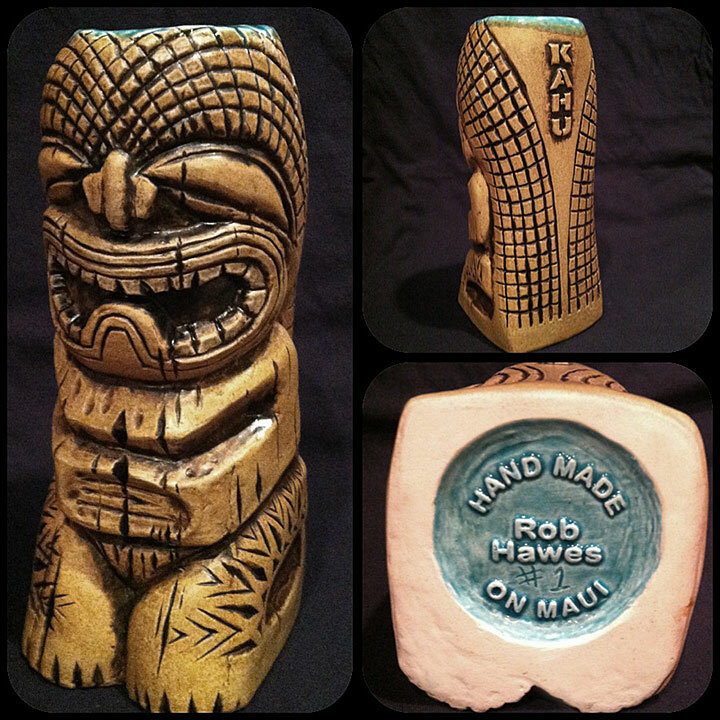 Kahu will be limited to 50 mugs and comes with a signed and numbered tag with the story of Kahu. Click on the image for larger and other views. New woodgrain glaze, customized for you! Add a shell necklace or your name on the back. Choose from several interiors color too. Custom mug prices start at $100 plus $13 shipping. Contact me to order and get an exact quote. Each Kamalo mug is different. 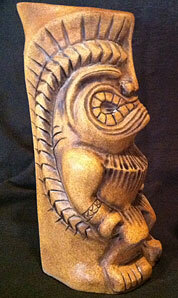 The headdress is individually carved in each handmade mug. Designs and color vary. Contact me for photos of available mugs or order a custom Mug today! Rollover image for backside view. 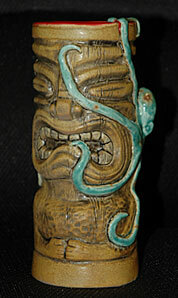 One of a Kind Kaikaina Octopus Tiki Mug. 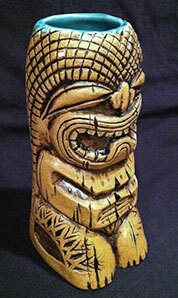 Wood glaze Tiki Mug with a custom Octopus crawling up the side! Roll over for another view. 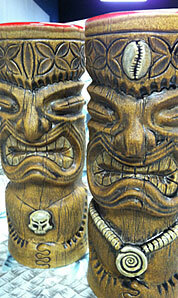 Contact me for more photos or to order a custom kaikaina Tiki Mug! 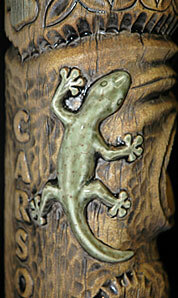 Add a gecko to the side of any custom Tiki mug for $45. Roll over for another view.